In the summers, Providence residents waded into Mashapaug Pond to get clean – or, more precisely, for spiritual cleansing. 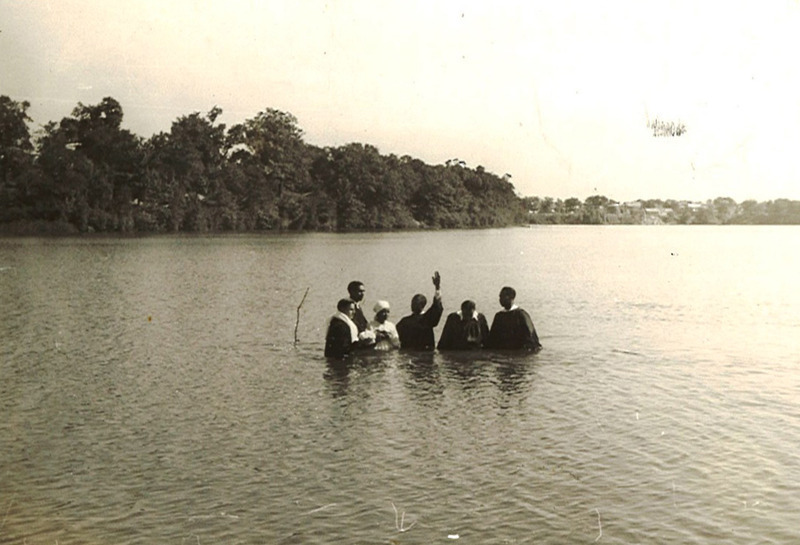 "The choir would sing and the Word was preached before the candidate entered the water to have his sins washed away," recalled Ralph Simmons, a member of the Pond Street Baptist Church in the 1930s. The polluted pond is no longer used for baptisms, but Mashapaug Pond remains connected to organized worship, spiritual practice, and faith-based communities. These activities, and the sites where they occur, have changed over the years as places of worship follow their congregations’ movement around the city. Today, one of the oldest visible sites near the pond is the Congregation of the Sons of Israel and David Cemetery on Reservoir Avenue, dating back to 1856, and now associated with Temple Beth-El. Needing a burial ground where family and friends could come to remember their loved ones, Providence’s small Jewish community purchased property near Mashapaug Pond. At the time, the new cemetery was far removed from the city’s urban core. Now, the cemetery sits wedged between busy roads and shopping sites. As the neighborhoods near Mashapaug Pond have changed, other religious congregations have come and gone, sometimes leaving no trace. Pond Street Baptist Church, frequented by many African American and Native American families who once lived in West Elmwood, has moved several times before settling in its current location in south Providence. On the western side of the pond, a small brown-shingled building at the corner of Balch and Calhoun Avenues once housed a mission of the Roger Williams Cranston Street Baptist Church. The mission ministered to the spiritual and humanitarian needs of the West Elmwood community by providing food and clothing as well as special activities for neighborhood children. When the city bulldozed the area to construct the Huntington Expressway Industrial Park, the mission was forced to close. Some buildings have served multiple congregations over the years. In 1901, the Westminster Congregational Society constructed a small, rubblestone, gothic revival chapel on 126 Adelaide Avenue to serve its worshippers. By 1959, the church had been repurposed by the Friendship United Methodist Church, a Swedish group founded in South Providence. Most recently operated as the Hood Memorial Church (A.M.E), the building now stands vacant, reflecting the continuing changes in neighborhood demographics. Some congregations have recently moved into the area, converting existing spaces for religious use in order to welcome local residents. In 2009, the Renaissance Church relocated to the Mashapaug Commons shopping center – the former site of the Gorham Manufacturing Company. The church now resides in a storefront that once housed Hollywood Video. The congregation feels strongly about establishing connections with the local community, and the church is regularly used for community meetings, including those organized by the Urban Pond Procession and Alvarez High School students. Across the pond, the New Dimension Church occupies a spacious building at the edge of the Huntington Expressway Industrial Park. For both parishes, large parking lots nearby make it easy for members to drive in from homes throughout the metro area. 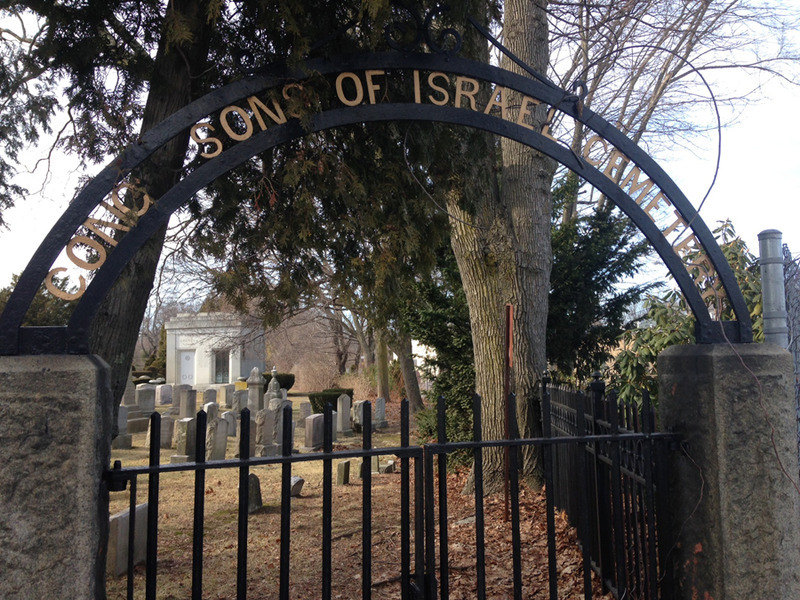 Still in use as an active burying ground, the Sons of Israel and David Cemetery is an enduring site of identity for a Jewish community that has grown and moved over time. Temple Beth-El relocated to Providence’s East Side but the congregation tries to stay connected to their cemetery. Each spring, the congregation makes a pilgrimage to the cemetery for a service to remember the dead. Kenneth Orenstein, the chairman of the Cemetery Management Committee and a member of the Beth-El congregation, also arranges clean up days when children and their parents can care for the cemetery and learn about its history by looking at headstones and monuments. 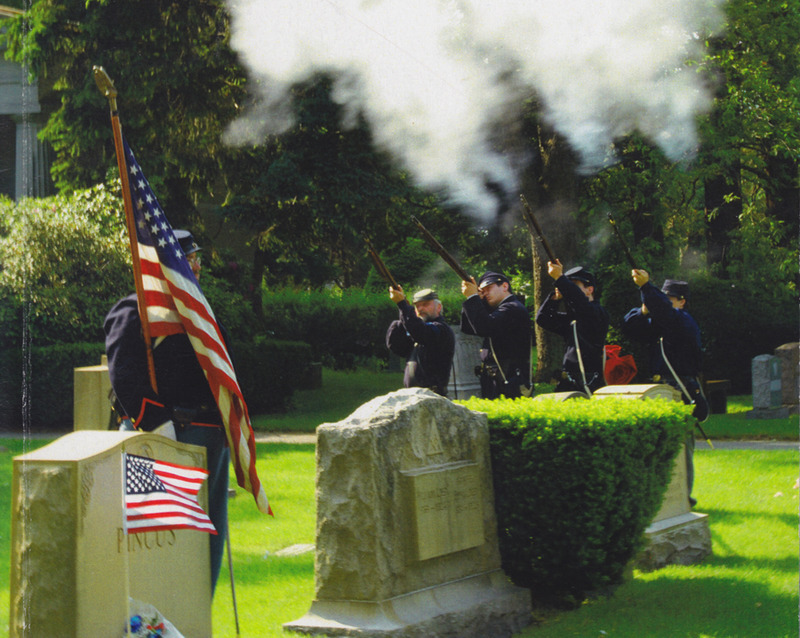 These activities make the cemetery a place where generations can come together to understand and honor their shared heritage. As you travel around the area, how are faith-based communities connecting with neighborhoods and the pond? What do faith-based congregations contribute to community life? 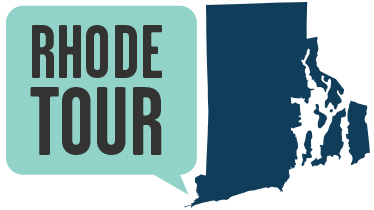 What does the history of religious sites tell us about the history of Providence? How has urban growth and change affected the spaces used by faith-based communities? Anne Valk, “Spiritual Cleansing: Religion at Mashapaug Pond,” Rhode Tour, accessed April 23, 2019, http://rhodetour.org/items/show/24. National Register of Historic Places, Temple Beth-El, Providence, Providence County, Rhode Island, National Register #88003074. Providence Preservation Society. “2014 Most Endangered Properties List: Historic Houses of Worship.” http://ppsri.org/ten-most-endangered-properties/2014-meplist. “Were Cities’ Ponds an Asset or a Liability?” Providence Sunday Journal. October 15, 1922.